Discover the ‘Great House’ enjoyed by Jane Austen, the quintessentially English manor house and gardens with a fascinating history. Chawton House, a registered charity conserves a unique collection of early women’s writing within the Elizabethan manor house once owned by Jane Austen’s brother Edward. Visitors can enjoy the ‘Great House’ referred to in Jane Austen’s letters, relax in the peace and tranquillity of the gardens, and find inspiration in the lives and works of its women writers. The 400-year-old house is a fascinating blend of architectural styles and features. Visitors can sit at the table at which Jane Austen dined with her family, and enjoy a stroll in the Walled Garden built by her brother Edward. The Library itself is a treasure trove of fascinating works by women and many of these are on display throughout the house, along with portraits and paintings inspired by the writers. 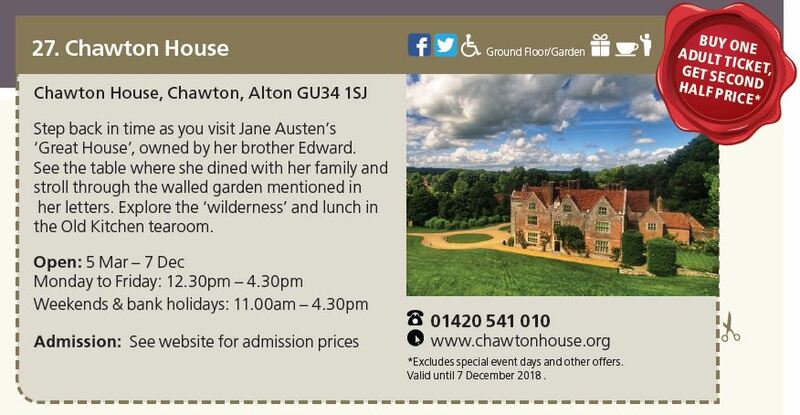 Visitors can enjoy lunch and afternoon tea in the Old Kitchen Tearoom and browse a range of gifts related to Austen, the House and Gardens in the Gift Shop. There is a rolling programme of exhibitions, which are included in the price of admission, along with a variety of events from evening talks and conferences to children’s workshops and garden tours. 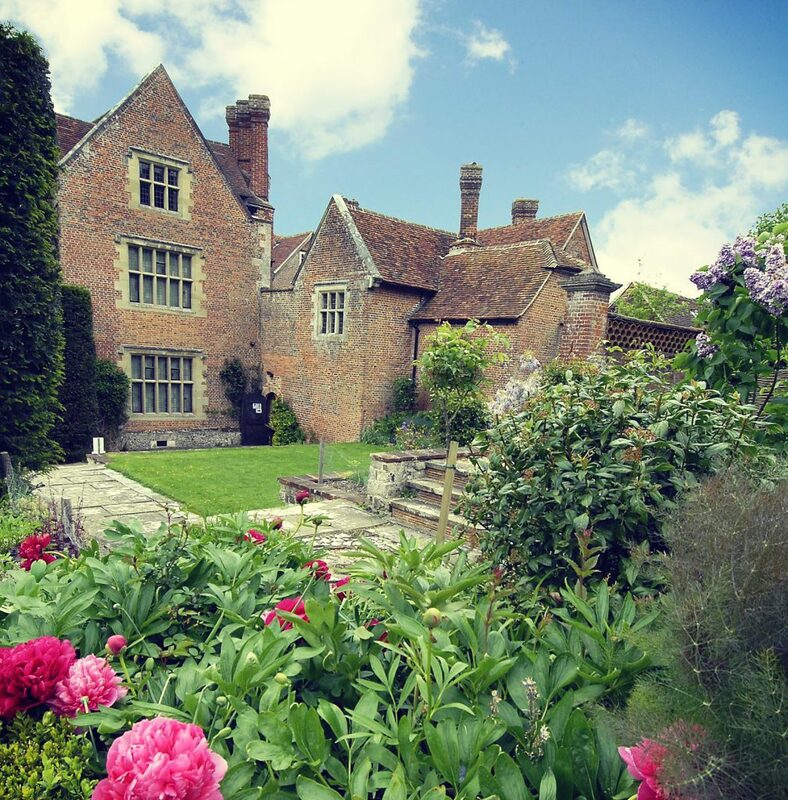 Enjoy a day at Chawton House with buy one adult ticket get a second half price.